We left San Antonio Texas on a Sunday; our church was all around us. Besides God, our guide was Gertrude (the GPS portable navigator given to us), our stead was Toothless. 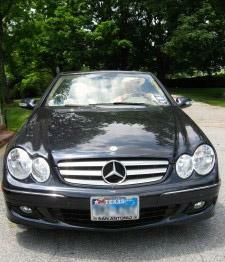 He’s Bill’s Mercedes convertible (named after the dragon in the movie “Train Your Own Dragon”). Who were these adventurers, so brave and carefree…Judy and Bill Allred, pushing 76 and 80, respectively. Each left San Antonio with a stuffed small duffel bag, classy hats and a goal of seeing the south and east coasts. Our route was top-down; no advance reservations, no time restraints. Today, as we leave St. Augustine, Florida, the oldest, continuously occupied settlement in the United States, it somehow seems fitting to have enjoyed this small northern Atlantic coast area as much as we have. The thought comes to us now that all along the Gulf of Mexico, we drove next to and stayed near some form of water. After a night each in Lafayette, LA, Baton Rouge, LA, Mobile, AL, and below Pensacola, FL, St. Augustine’s little known beach captured us for three nights and restful days. Toothless took us to Avery Island below Lafayette, LA. Hundreds of acres of gardens are now left to the public by Mr. McIlnery, the creator and producer of Tabasco Sauce. Years ago he transformed the land around his home into azalea, camilla, rose, bamboo gardens, surrounded by hundreds of varieties of trees from Europe, ponds filled with alligators and next to the bayou and its birds and sea life. 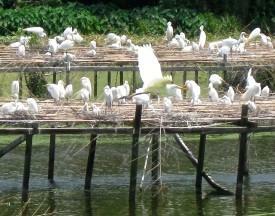 The ultimate in foresight was building flat pole nests for the dwindling egret family. 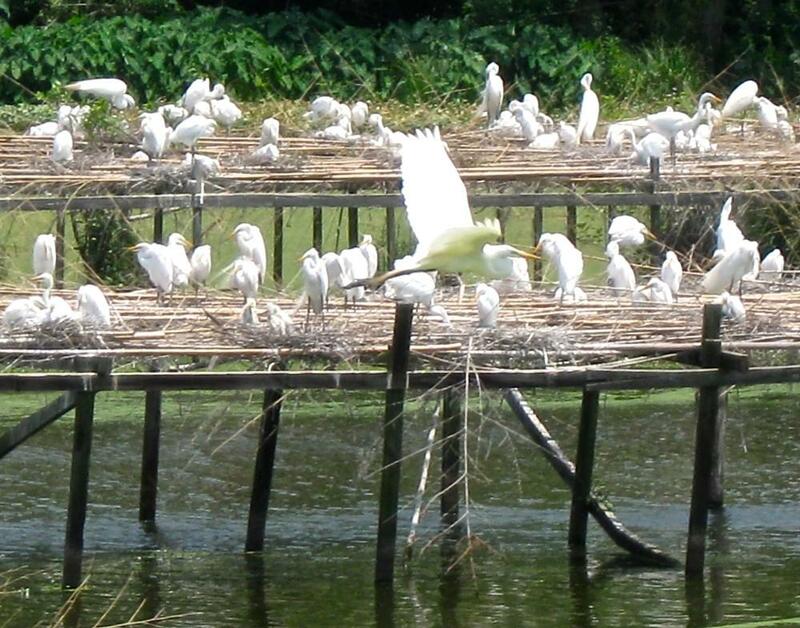 Today at least two thousand perch and produce their babies, filling the skies around with white wings as they go and return to this safe haven in Louisiana. Baton Rouge and Mobile…cities with mansions from their adolescent days, are nothing like the McMansions of today. Most affluent Southerner’s taste seems to be a home with pillars and balconies, comfortable enough to fit a family, homes lasting for generations and that sit gracefully on the land. The thick trunks of the magnolias, the flowers and lawns soften but never seem to dominate. Did you know the Gulf Coast is covered with pine trees, woods and forests of tall and massive stands? Did you also know that Mississippi and Alabama have beaches? And that they’re made of white sand as soft as sugar? These states, pinched together at their southern borders by Louisiana and Florida on each end, still manage to have their fine points. Mobile is a fascinating city of history and the birth place of Mardi Gras celebrations. Mobile Bay estuaries spawn about 90% of the Gulf’s sea life. Biloxi and Gulf Port’s still-standing coast homes illustrate Mississippi’s grace. Sadly, that waterfront with its miles of sparkling white sand beach is edged with foundation after foundation of homes destroyed by hurricane Katrina, and the For-Sale signs line up forever like the Burma Shave ads of old. In years to come these scars may be covered with new homes. St. Augustine. Here’s a small coastal area exempt from the hurricanes, as the strong Gulf Stream swings in an arc north of here onto the Carolinas, making the path the storms follow. Consequently, the old historic town retains much of its original Spanish influence in almost Moorish style buildings. 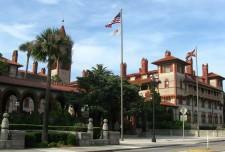 Henry Flagler used this style to develop the town for those coming south for good weather and golf, also starting Flagler College. The Victorian houses line narrow cobblestone streets. We again chose the beach, this time on Anastasia Island 10 minutes away from downtown. On our 7th day we rested, rented an umbrella and wooden steamer-like chaises and settled into the Atlantic scene. The white hard-packed sand beach goes for miles and is used for beach driving, bicycling, jogging, walking; the last two our speed. It’s an original, not the glitzy body shows of south Florida. Dotted on the upper soft sand are families, pails and sand castles, sunbathers and all-day sitters under umbrellas. Rows of frothy breaking waves catch the sun on their upward thrust. Surfers ride with ease. The Atlantic here is warmer than Maui’s Pacific water which we had just recently tested. Even those odd ducks with the Geiger counter and a side-kick holding the digging bucket make this a heavenly but real place, where the soul can replenish. 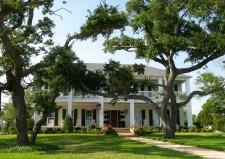 PS I mustn’t forget Bellingrath Home and Gardens south of Mobile. A wondrous place built with hospitality and foresight alongside one of the Mobile Bay estuaries. 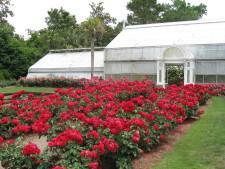 The acres of walking gardens are filled with thousands of azaleas, roses, mums, too many other types to name, each blooming at their own season. The tour of this Coca Cola bottler’s house with its collections of age-old European and American antiques, collected with love by Bessie, is enchanting. 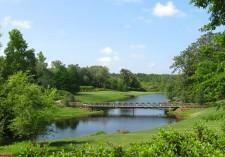 She also planned her gardens, ponds and lake, with views of the bayou river and its grasses.